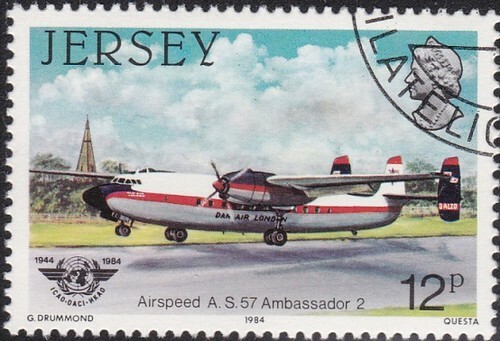 Jersey Scott # 337 issued July 24, 1984. 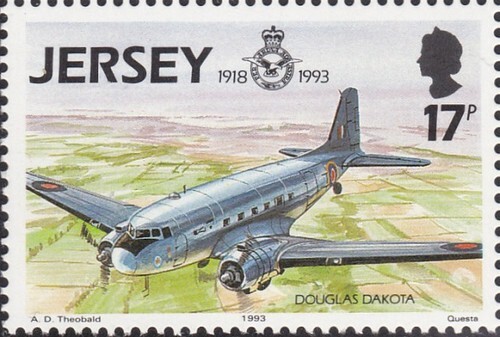 Jersey Scott # 338 issued July 24, 1984. 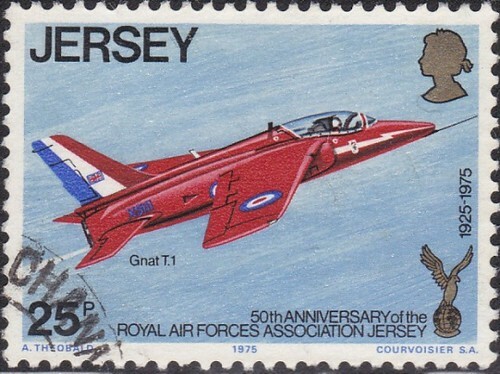 Jersey Scott # 339 issued July 24, 1984. Jersey Scott # 634 issued Apr.1, 1993. Jersey Scott # 635 issued Apr.1, 1993. Jersey Scott # 639 issued Apr.1, 1993. Jersey Scott # 82 issued May 16, 1973. Jersey Scott # 83 issued May 16, 1973. Jersey Scott # 84 issued May 16, 1973. 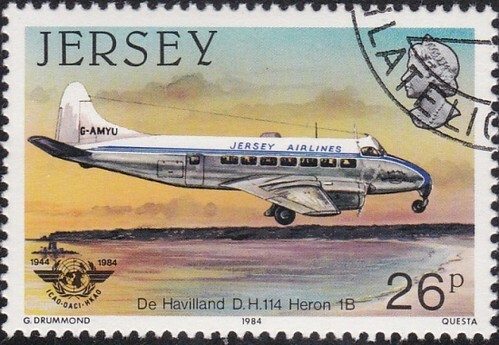 Jersey Scott # 135 issued Oct 30, 1975. Jersey Scott # 136 issued Oct 30, 1975. Jersey Scott # 790 issued Mar. 10, 1997. 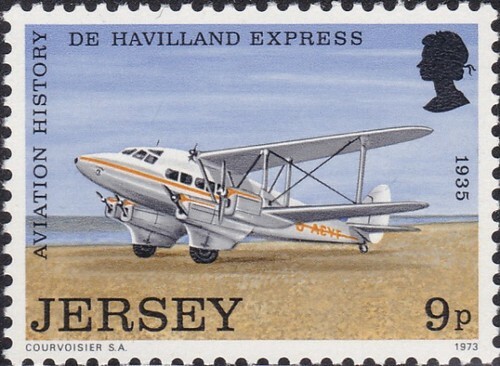 Nevis Scott #461 issued Mar. 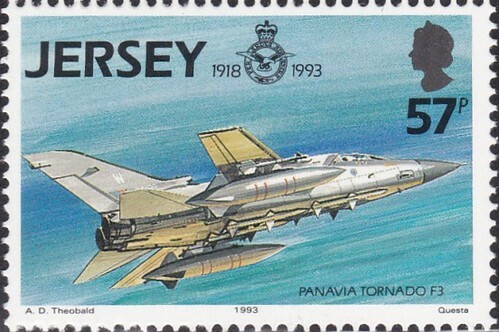 24, 1986 depicting Spitfire. 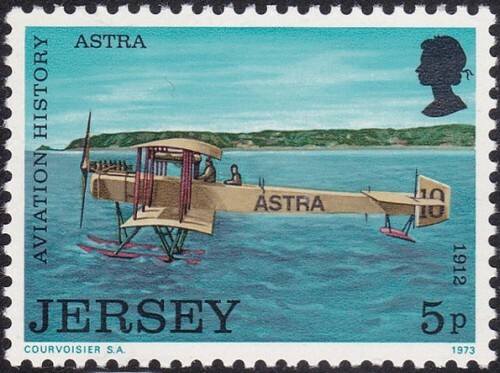 Nevis Scott #464 issued Mar. 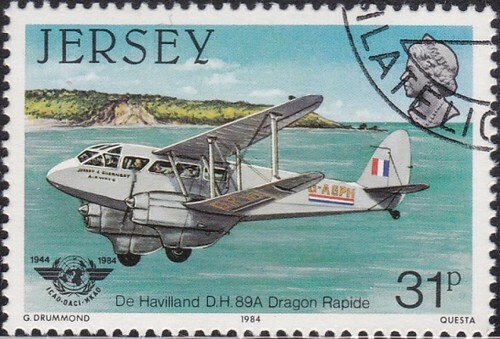 24, 1986 depicting a Seafire. 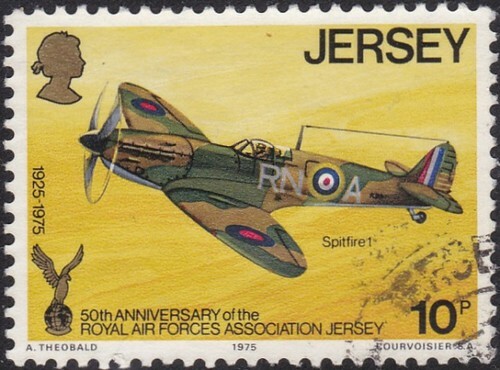 Gibraltar Scott #1297 issued Sept. 28, 2011 depicting Spitfire. 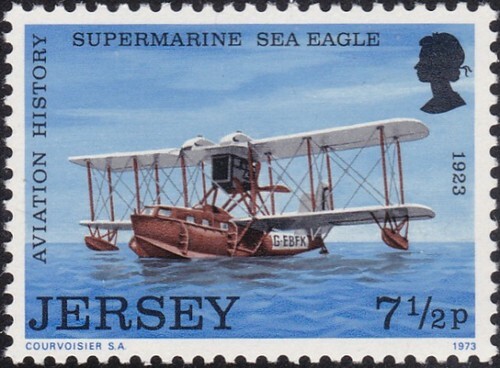 Gibraltar Scott #1299 issued Sept. 28, 2011 depicting Spitfire. Gibraltar Scott #630 issued Apr. 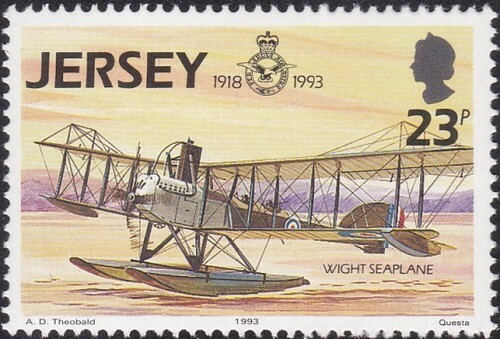 27, 1993 depicting HMS Ark Royal with Swordfish biplane.